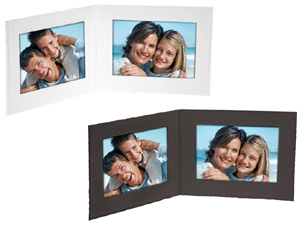 Linen weave finish with deckled edges holds two horizontal 4x6 photos side by side. Optional custom imprinting available. Photo Opening Size: 5-5/8" x 3-5/8"